Though this is not a healthy recipe, it's a family favourite and I thought it would be great to share today. 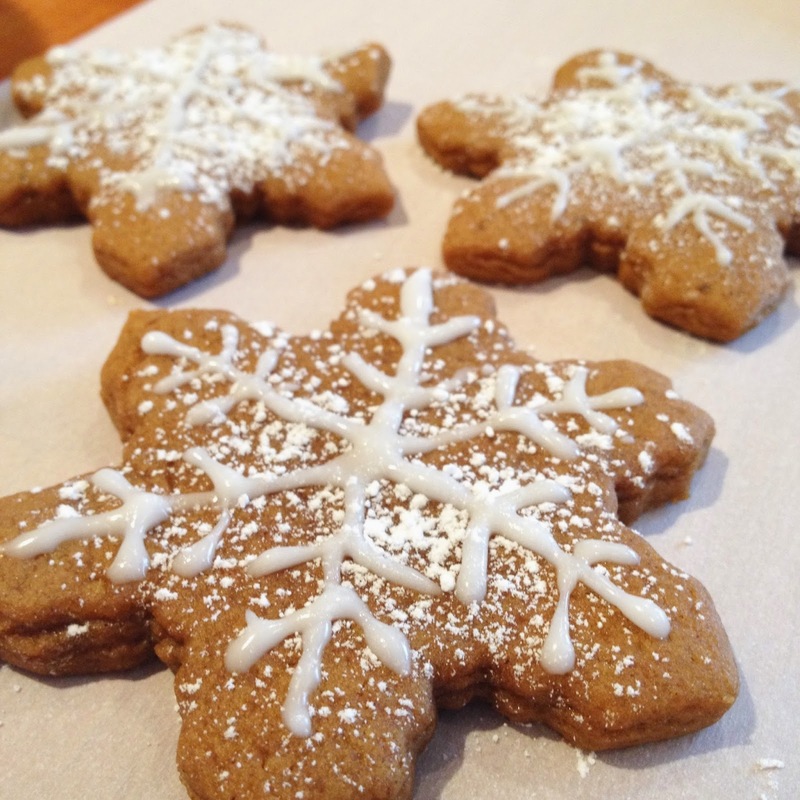 This gingerbread recipe is so easy to make and yields so many cookies which is great for gifts or when entertaining a lot of guests. Check out the recipe below and let me know what you think! Mix shortening, sugar and eggs in a large bowl and add molasses. 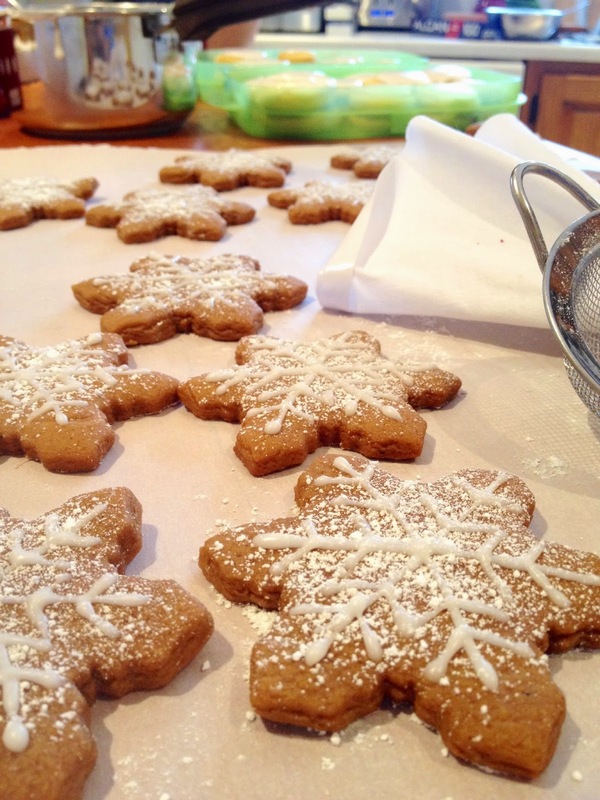 Sift flour, ginger, baking soda, salt, cloves and cinnamon together and gradually add to wet ingredients. Divide mixture into flour parts, cover and leave in the fridge for at least 2 hours. Each part makes approximately 18 cookies, depending on thickness. 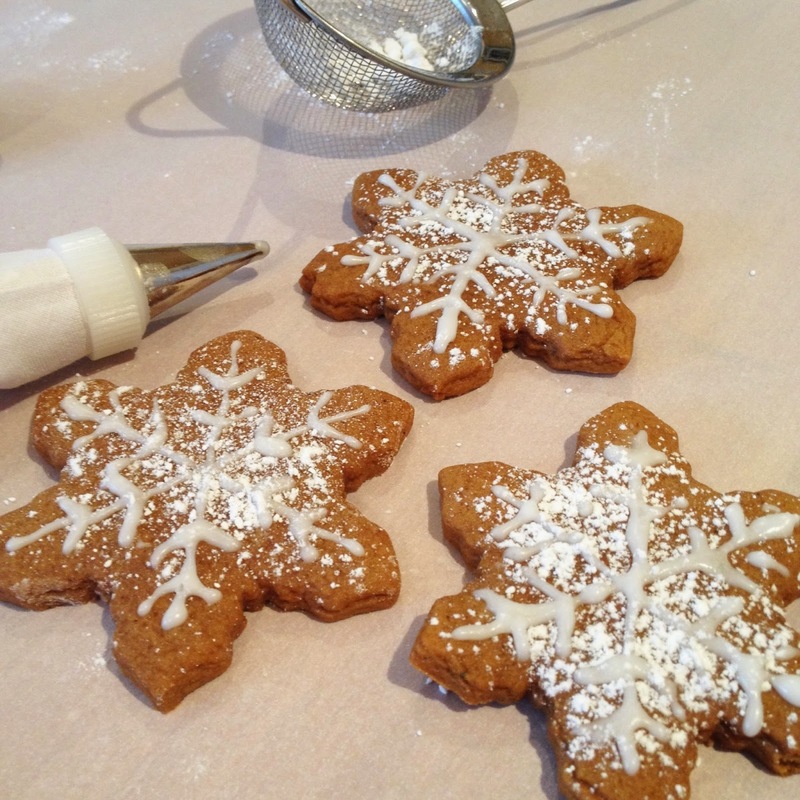 Take out a portion and roll it out on a lightly floured surface and use snowflake cookie cutter. Bake at 325 F for 10-12 minutes. Repeat step 4 and 5 for each portion or freeze the rest until needed. Heat 3 tbsp of milk in a saucepan. Add icing sugar and vanilla once the milk is hot. Mix and add to pipping bag with the appropriate small nozzle. 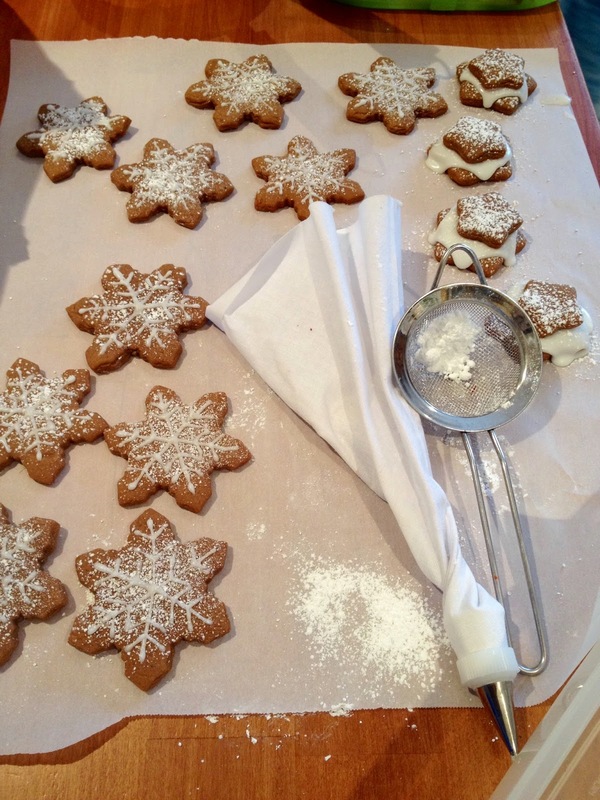 Decorate cookies with the icing and dust with excess icing sugar. These were so much fun to make and came out great! 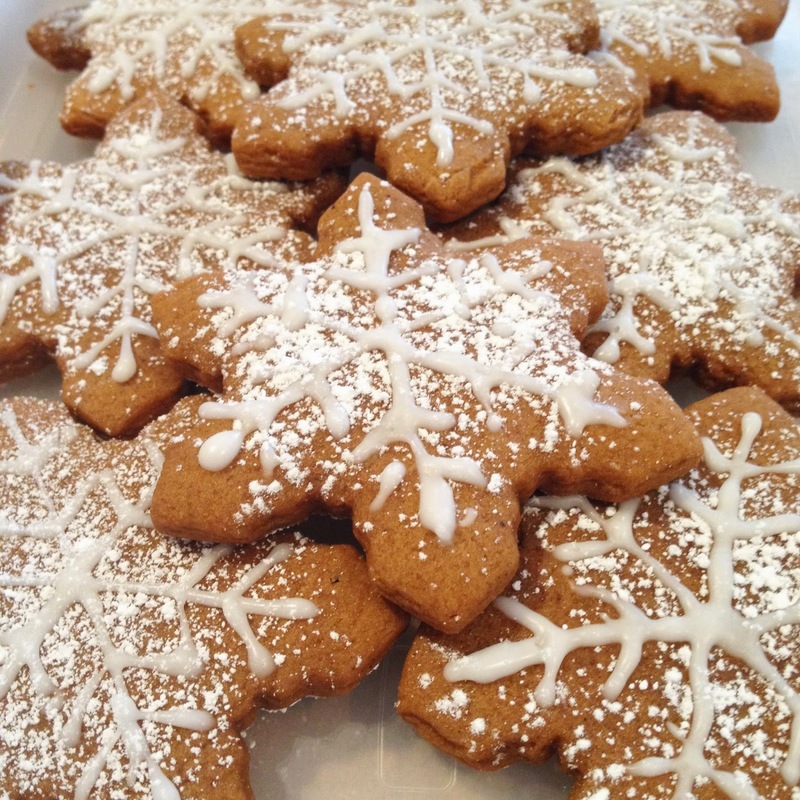 Try them out for this week's holiday parties or even save them for a pretty New Years treat when entertaining. Merry Christmas and thank you for all the support this year.